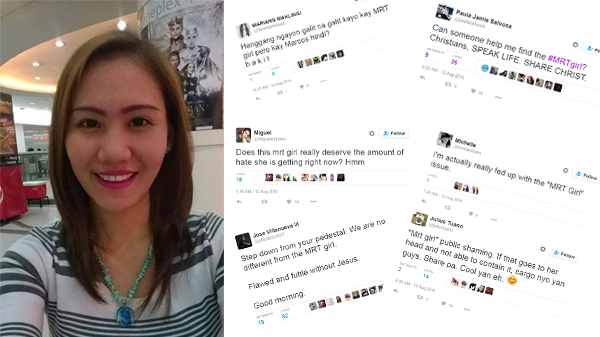 MANILA, Philippines – It has been a week since the hype of the ‘MRT Girl’ or ‘Upuan Girl’ surfaced and made rounds in social media. The face of the trend, Karla Monique Olandesca deactivated her Facebook account a second too late as the post went viral and the ‘MRT Girl’ found herself subjected into every meme as netizens dig up Olandesca’s each and every post. Step down from your pedestal. We are no different from the MRT girl. Flawed and futile without Jesus. That mrt issue is now bigger than it should've been. Enough of the derogatory remarks on the girl please. 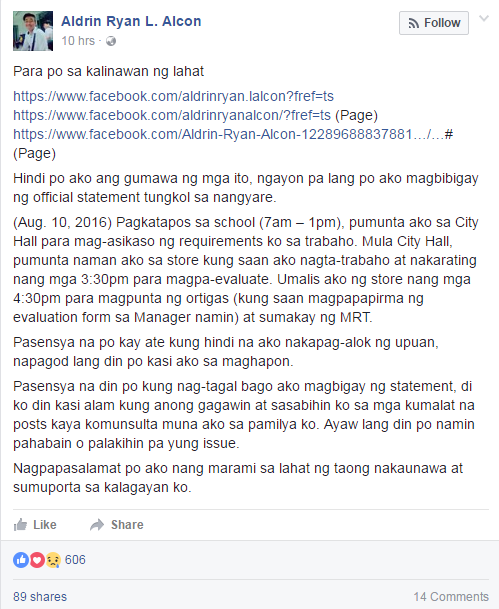 Hanggang ngayon galit na galit kayo kay MRT girl pero kay Marcos hindi? Can someone help me find the #MRTgirl? Christians, SPEAK LIFE. SHARE CHRIST. I'm actually really fed up with the "MRT Girl" issue. Now the Olandesca is said tucked away in a Facebook account named Maxene Montero. In a Facebook post, Olandesca claimed that she had already reached out to the guy she posted about, whom identified as Aldrin Ryan Alcon.